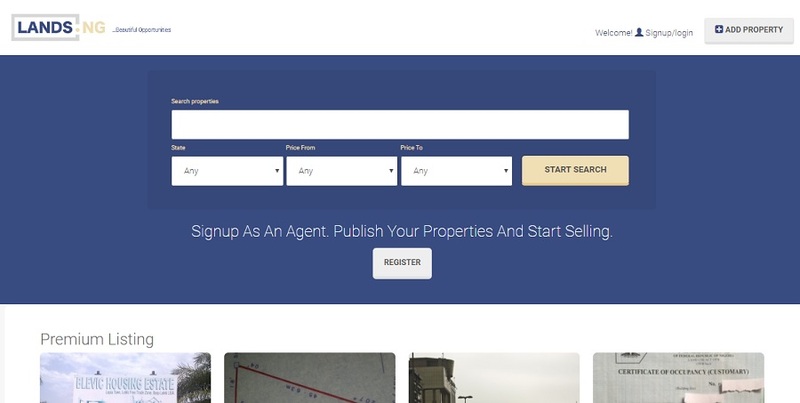 Nigerian startup Lands.ng has launched an online marketplace for land listings and associated services, aiming to bring digital disruption to the real estate industry in the West African country. Lagos-based Lands.ng goes live with over 1.4 million plots of land uploaded and more than 250 registered and certified agents listed on the platform. Its aim is to become a niche online destination for land in Nigeria, with buyers, sellers and realtors able to converge and interact to transact land business via a convenient and secured platform. The platform contains information, listings, lead generation forms, and access to data, with Lands.ng claiming to have created a secure and conducive online ecosystem for the industry. Founder and chief executive officer (CEO) Godwin Ani said he believes removing the barriers to land ownership starts with providing Nigerians with the right information and a secure platform for interacting with landowners and agents. “At Lands.ng we are using technology to revolutionise the way Nigerians think about real estate – land value chain in particular, and thus providing a long-term solution to the home ownership challenges and the living standard of our society,” he said. He said there is now more than ever a need for a more robust offering for connecting investors, buyers and sellers, which Lands.ng is aiming to do via its technology and security features, a product of its strategic involvement with Lagos-based digital marketing agency ADE Digital Media. “The penetration of technology is far reaching and with the land market, we recognised the huge impact top notch technology integration will yield for the industry. Lands.ng is offering a wholesome experience for land sellers, buyers and even investors, and is providing a greater chance of closing deals with reduced one-on-one customer contact,” said Michael Ebia, co-founder and CEO of ADE Digital Media.